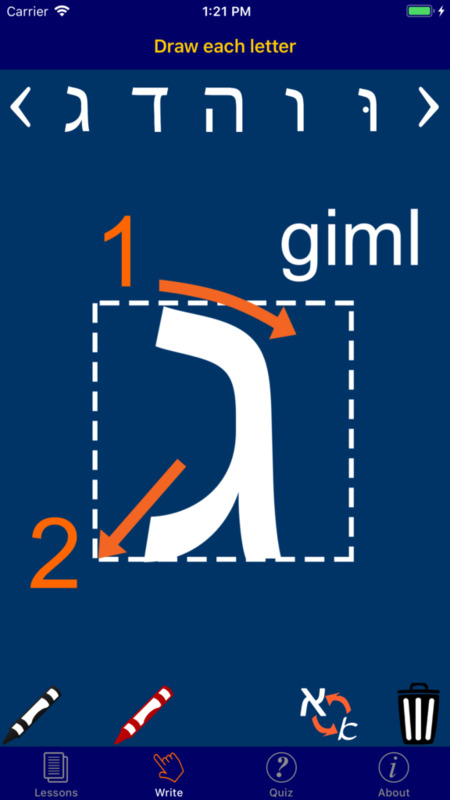 ebrew AlefBet Now will help you learn to read and write the Hebrew alphabet or Aleph Bet. The entire alphabet is presented in 7 lessons that cover both print and cursive scripts. After covering each lesson, a multiple choice quiz will help you test what you've learned. With its simple interface you can learn the alphabet in a few days. Its ideal for the beginner and comes with clear pronunciation guides. Youll hear the name of each letter, the sound they make and a sample word. Now with sound! Listen to the letter names, pronunciation and an example word for each letter.